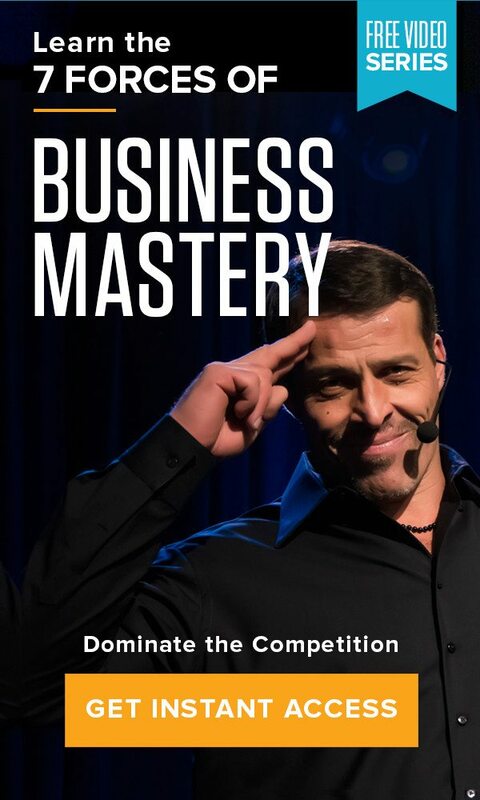 This article was written specifically for the Tony Robbins blog by talent strategy expert, Elatia Abate. Getting the right people in the door seems to be a perennial challenge for business owners and leaders. Common complaints – from Fortune 500s to early stage startups – center around the lack of effective recruitment strategies and how long the process seems to take in order to find good people. The exciting news is that when done correctly, recruiting can be simple and it can drive your business growth. These six recruitment strategies will help you get where you need to be in terms of hiring – all you have to do is change your mindset. Recruiting employees is often viewed as a challenge because business leaders separate the act of hiring from the rest of the business. Urgent tasks like generating revenue, increasing sales and growing market share take immediate precedent; hiring is often relegated to the back burner. Stop seeing recruitment as something entirely separate from your business. Recruitment is your business. The act of recruiting employees is similar to a sales process. Think about it: Your customers and clients buy your products and services because of the value they add to their lives. You reach your target audiences by understanding who they are, what they need and how they communicate. You meet the customer where they are and offer them things they can’t access on their own. You can apply the same logic to the recruitment process. Talented candidates are looking for the opportunities and experiences that working in your company can provide. Do you know who they are? Designing a persona for your ideal candidate – including experience, interests and cultural fit – can help you more objectively evaluate applicants. Are you looking for these individuals in the right place – at conferences instead of job boards, for example? Are you using language that speaks to the talent you seek? Are you recruiting on sites or at events that attract talented people in your industry? If you have a culture of innovation and collaboration, but your website reads more like tax code,you’re not going to bring in the talent you want. Meet your talent halfway. You need to locate people who will contribute to your brand; at the same time, you must present your company as a viable option for them. Bringing in the right people requires a clear understanding of where your business is today and where you want to take it moving forward. By understanding these two things, you can prioritize which hires need to come first and where to allocate valuable hiring resources. One of my clients is a co-founder of an early-stage online startup in the beauty industry. They’re on the brink of closing their first round of funding. The business has already achieved a certain amount of success, and to move the company to its next phase of growth, they have to quickly make additional sales and increase revenue. With that in mind, their first two investments in people once the checks clear will be in digital marketing and sales. Picture your ideal candidate being made up of two main factors: skills and style. These are the two elements you need to gauge as you learn how to recruit. As you consider each candidate, ask yourself the following: Are they capable of executing the tasks they will need to perform the job well? It seems like a given, but if a hiring executive isn’t clear about what specific skills are needed, even this part can be a shot in the dark. The second piece is style, or cultural fit. If your company is an energetic, collaborative and innovative place, someone who is a great individual contributor but doesn’t like working in teams isn’t going to fit in. You need someone who will seamlessly merge with your current workforce, collaborate with their peers and focus on the tasks at hand. You’ve probably heard that recruiting takes up “too much time.” Yes, hiring can be time-consuming if you’re just guessing at it and deploying whatever recruitment ideas come to mind. By developing recruitment strategies that you can implement with each candidate, you’ll streamline your process immensely. What do you think you’re going to get? Hundreds or thousands of résumés from unqualified people that you or someone on your team has to review, that’s what. Create a hiring process that has a high barrier to entry. When I ran recruiting for Dow Jones, we built a summer innovation lab for which we hired talented, creative college students. In addition to asking for a résumé and cover letter, we invited candidates to answer essay questions about their own creativity and innovation, as well as do recorded video interviews. This process ensured that only the most interested and dedicated talent applied, and that those who we did invite for interviews were highly vetted before they walked in the door. Preparing more strategically for the interview itself can help you secure the right people. Interview time is often eaten up by “getting to know you” conversations. Trim out some of this social element and be deliberate about the questions you’re asking. If you know the role you are hiring for requires flexibility under pressure, creative thinking and obsessive attention to detail, have the candidate offer you specific, measurable examples of where they have demonstrated these three qualities. Don’t settle for answers that simply offer a yes or a no. “Tell me more” is a great way to dig into the information that will get you the talent you need to drive your company’s growth. Always have specific questions that align with an open role, and most importantly, don’t forget to keep your brand’s ultimate vision in mind. Elatia is an entrepreneur and thought leader on the future of work, talent strategy, and building cultures of creativity and innovation. She works with organizations that range in size from Fortune 500 to early-stage start-ups. She is a sought-after speaker and lecturer, having recently delivered a TEDx titled, “Pioneering The Future of Work.” In a former life she served as Vice President of Human Resources at Dow Jones & Company, and Global Director Talent Acquisition at Anheuser-Busch InBev. Learn more at elatiaabate.com or by following @elaabate on Twitter and Instagram.